myMozo Customer Loyalty Reward Solution allows businesses to retain, successfully engage customers more efficiently. We help merchants increase revenue by quantifying and increasing their loyal customer base with our Customer Reward and Retention Software App. No More punch card fraud with paper or plastic cards which can be duplicated or tempered. myMozo Customer Loyalty Reward Solution is completely cloud based android app using latest technologies and works flawlessly. With our digital Rewards App, businesses owners can manage create their own campaigns and promotions and bring back customers that have not returned for a while. 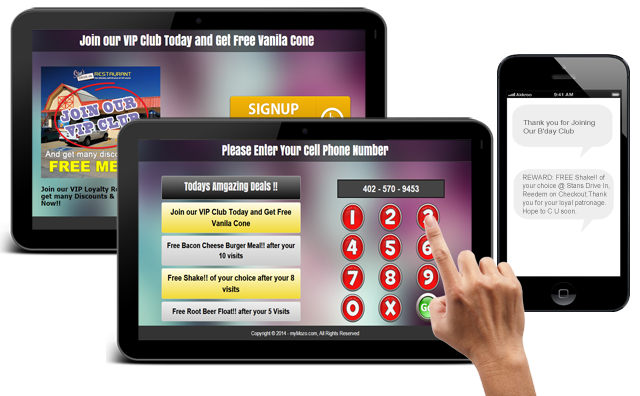 Reward loyal patrons and manage, monitor, build, track ROI Reports and Analytics on responsive web based mobile enabled manager module. No More hassles for paper punch cards. Customers can build rewards and gets rewarded. Engages customers to visit more frequently. Customers Check-In by simply entering their cell phone number. Build Custom campaign to promote product or service.